Description: This is a BATTLE PET. 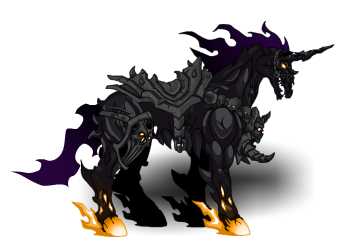 A mineature version of Voltaire's Black Unicorn ready to fight by your side to the last flaming breath. Note: Also see Voltaire's Black Unicorn.